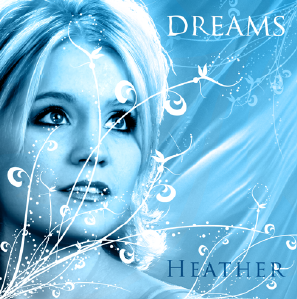 Heather's dynamic sophomore recording builds on the style of her first CD, Closer, but adds a unique flair. A collection of some of the most loved ballads of all time, Dreams takes these songs to a whole new level by providing a message to the music. Dreams is not merely a collection of great songs, it’s an intimate glimpse into the heart of someone who has experienced more than her share of suffering and triumph at such a young age. "My prayer is that the world will see and realize that a dream is not a wish your heart makes. No, it is a decision to surrender your wishes into the hands of the one who created the stars so bright. It is at the very moment of this conscious act of will that your dreams really do come true…." These classic songs of faith are guaranteed to inspire, uplift, and encourage all who are striving towards the prize for which God has called them heavenward!